There is a tremendous amount of stress involved when you are struggling with mounting debt and see no way out. There are solutions, however, and you should find out what they are by contacting an attorney who specializes in debt negotiation, debt settlement, bankruptcy and other options for handling debts. The Sherman Law Group is experienced in helping individuals get out from under crushing debt and discovering a much brighter future. We have over 50 years cumulative know-how covering bankruptcy law, and we are confident we can successfully guide you through the financial maze that leads you out of the debt quagmire. 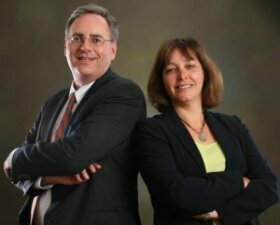 Our firm utilizes the talents of two attorneys, Valerie Wulff Sherman andBill Sherman. Both were former Assistant State Attorneys, while Valerie Wulff Sherman was also a Magistrate Judge and Bill Sherman was an Assistant State Attorney General. We know all the options that are available to people for handling their debt situations for good so that it's not a constant nightmare. It's possible that debt negotiation, for example, is the answer to your financial scene. If bankruptcy is the solution, we will explain exactly how it works. Once you learn which debt solution is right for you, we will help you by handling the paperwork involved, including filing any necessary forms or petitions. This is very important, as a failure to be accurate can result in your petitions being rejected. We will talk with creditors on your behalf, and do whatever else is necessary to obtain the financial freedom you seek. There is no need to continue fretting and worrying about your debt. Contact us today to schedule a free case evaluation to discuss your options and how we can be of assistance.